Tangled and True: silly wagon auction #14. 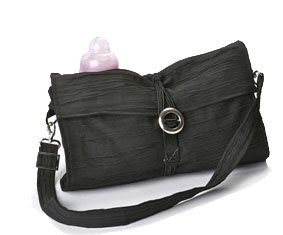 This Chic bag diaper bag from Wisey is exclusive to Silly Wagon and is not yet available in the store. 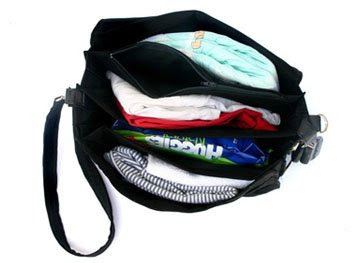 It's like a baguette, that expands to hold a change of clothes for baby, a couple of diapers, up to a full package of travel wipes, pacifiers, bottles with plenty of room for your wallet keys and cell phone. Up for a night out? remove the baby stuff and you've got yourself one incredible bag. Every mom needs one of these. how long will these new auctions be open?